I contemplated getting this book for a while in its physical form and then ended up downloading the audio version. It wasn't a mistake. This book contains 4 simple yet powerful pieces of wisdom that you can and should apply in your every day life in order to feel happier and more at peace with yourself. 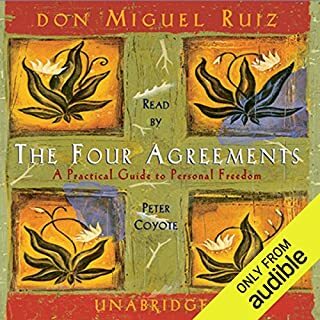 Anybody can understand the points taken from the four agreements highlighted in this book. The narrator also made this listening experience very pleasurable as his voice came across to me as gentle, compassionate and perfect for relaxation. I loved this book so much that I even bought the bookmark that contains a small summary of the four agreements on it lol. I'm moving on to the fifth agreement now. I recommend this book for anyone who is looking to start changing their life but aren't sure where to begin. 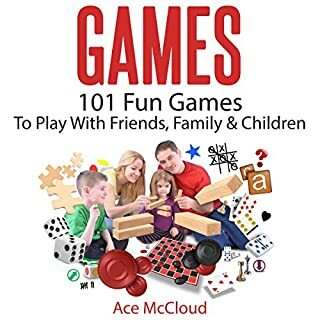 Games by Ace McCloud contains a variety of games for all ages, including children and adults. There is a decent number of classic kids games in here as well as fun drinking games for adults. Also contains information board games. Can't go wrong with this book, you'll never be bored! This audiobook covers an incredible variety of strategies, techniques, tools, and tips that will hand you the ability to improve your emotional well-being. It would be highly negligent not to invest at least a little time and money to gain these skills. Learn to spot and respond to the early warning signs of emotional distress before your feelings run away with you. Don't settle for an angry, depressed, out-of-control daily existence! We all let our emotions get the best of ourselves at times, but sometimes our emotions can make or break whether we succeed in good opportunities. 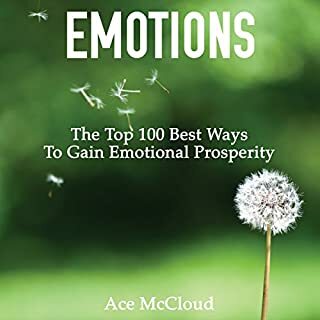 Emotions by Ace McCloud helped me learn how to better control and understand my emotions so I never let them influence my decisions again. The exercises in this book are great and helpful. They're easy enough for anyone to try. Have you had it with being tired all the time? Would you do almost anything for a good night's sleep? 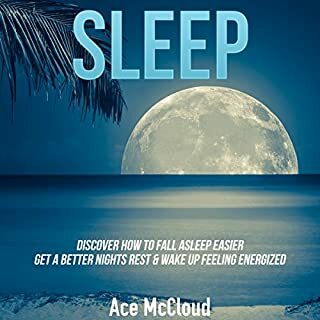 Whether you want to (1) feel more energized all day long, (2) know how to easily fall asleep, or (3) know how to get a more restful night's sleep, then this is the audiobook for you! Sleep is something we all need, if not to achieve peak performance but to at least basically function. However, this book is perfect for anyone who is suffering insomnia or anyone who works a job with rotating shifts, as I do. Your sleep schedule tends to get messed up. Don't jump to over the counter meds to cure your sleep problems, this book contains all natural and safer ways to improve your sleep cycle! Do you feel blind to the abundance all around you? Are you tired of feeling unhappy? Whether you want to, (1) live better and feel happier, (2) eliminate negative feelings, or (3) discover a life that is worth living, then this is the audiobook for you! We could all use a little more Gratitude! 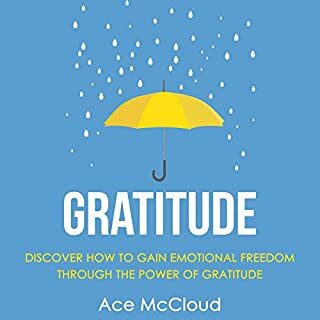 Gratitude by Ace McCloud is a good book for those who need help finding purpose in their lives. This book helps you learn how to be more thankful for the things you have in your life as well as find the inspiration to achieve the things you want. Just one listen helped me feel more inspired and thankful! Are you tired of losing? Do you wish you knew what to do in those critical situations? Whether you want to (1) blow the competition out of the water, (2) boost your confidence, or just (3) start winning more often, this audiobook will get you there. Do you find it hard to think of yourself as a winner? Even successful athletes can struggle with blows to their self-confidence. Learn proven strategies that can help you confidently make the right decisions when it counts! 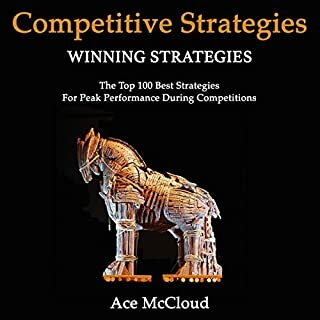 Competitive Strategy by Ace McCloud is a book that helps you bring out the peak performer in yourself. The book is targeted mostly toward athletes or those in business (self-starters) who have a vision and a dream. But even if you're not in business or an athlete, this book is pretty good just to get yourself in an inspirational mood. Cats are some of the cutest, most adorable creatures on the planet when trained properly. Would you love to know the secrets to loving and caring for cats? Whether you want to (1) learn to care for your cat the right way, (2) decide if cat ownership is for you, or (3) discover how to turn your cat into a loving purr-machine, this audiobook will teach you everything you need to know. 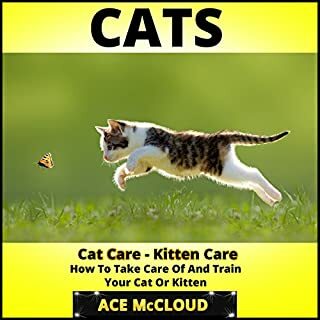 Cat Care/Kitten Care by Ace McCloud is a comprehensive guide on how to care for your furry companion. Most of the information contained is this book is about nutrition, playing and how to make your home environment most comfortable for your cat/kitten. Great starter book if you've never owned a pet before. Dogs by Ace McCloud is an all inclusive book about dogs. 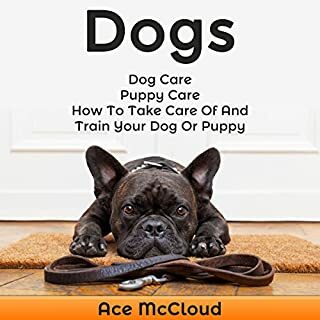 The information contained inside includes information on the different types of breeds, different methods of care and different kinds of games you can teach them, as well as diet and training tutorials. I read this book to learn about the different kinds of dogs before I got my beagle. 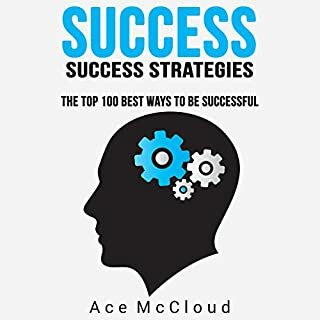 Success by Ace McCloud is a must read/listen for go-getters who want to get ahead in life!! Whether you are looking to succeed in your career, playing a sport, your home life or any other personal area, this book is the answer you've been looking for!! The best word to describe this audionbook is "peak performance." Learn how to get yourself to peak performance and you will succeed at any task! Highly recommended! 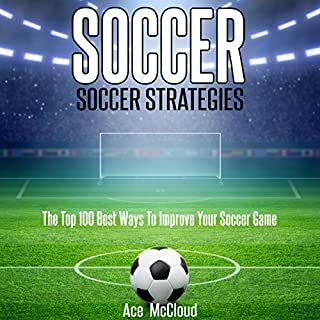 Like his other sports book, Soccer Strategies by Ace McCloud follows a similar format. This book contains helpful information on playing techniques and strategies such as how to work on your shots, strength training and nutritional information and mental techniques for extra powerful strength! This book can help both beginners and experienced players brush up on techniques they already know as well as learn new ones!